"It was supposed to be light gold but it has a lot of brown in it. But having said that everything that was in my full size wallet fit into that little thing. Amazing love it. Am giving one as a friend. " "Well made, super chic, love your line!" "excellent purchases!! could not be happier!" "The tote is made of soft leather and the the wine color is striking. I have received several complements on the bag. I love that it zippers closed and has nice deep pockets on the outside and inside. It’s light enough that when I fill it, it’s not too heavy. This is my first Minor History purchase but won’t be my last." "Love everything about this backpack - the quality of the leather, the size, and the green color. Have already gotten so many compliments!" "I was given the black purse as a gift, then I ordered the gold. Love the bag. Wish u had more color choices like red, navy, silver or gray. It is very versatile. I use it on its own or pop into a large bag during the day." "stylish, great quality (only used for a couple of days), perfect size. I am very happy with the product I ordered!" "I adore this wallet. I'd been using a smaller cardholder before this, but struggled to carry cash and change. This wallet is a game changer. Still small enough to be carried easily on errands, but has space for some cash and coins. I am so excited about this purchase and would highly recommend! " "I love the wallet; it's a great size. Not too bulky but still good functionality. " "The key chain is a nice size and a beautiful color (I bought the green). I gave it to my mom who attached it to her phone so it is easy to pull out of her purse. She loves it!" "Beautiful purse! The delivery time was amazing and the customer service is top-notch. This company receives my highest recommendation." 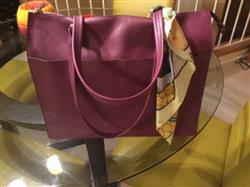 "I was trying to purchase a beautiful bag for my daughter-in-law just a few days before Christmas and I mistakenly ordered the wrong color. I emailed the company very late at night requesting the order be changed. I received an email by early morning saying the bags had been switched out, and I would still receive my gift in two days with no shipping fees. The bag did indeed arrive right on time and the bag was beautiful and of very high quality!" "Best wallet ever! Perfect size to have and holds everything just right. " 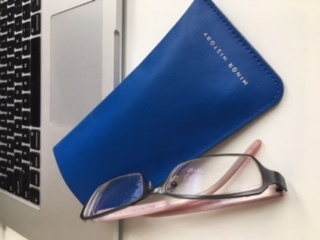 "Lovely little card holder in the prettiest red hue "
"Gorgeous and soft, these eyeglass cases are the best. I only wish they made them in even more colors." "Great communication, exceptional quality, and understated elegance." "I bought this for my Brother In-law last year and he loves it, I finally caved and bought one for myself. It perfect for both men and women! 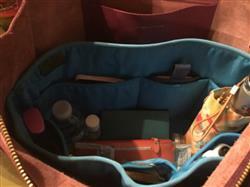 Fits the necessities, and looks really nice :)"
"Everything I need fits. It's classy and tiny. What more can I say?" "Item shipping quickly and in great condition! Needed a keychain that was removable so I was able to use my garage door fob. Love it! thank you!" Exquisite Full Moon Circle Bag! "I absolutely love my new Full Moon Circle bag. The bag is very well-made, high quality and beautifully simple. The shipping was very fast. I'm very satisfied with my purchase and will certainly buy more bags at Minor History." Gorgeous! Love each style, I bought three and kept them all! Saturated colors are beautiful! "Practical and fashionable. Love the product and the style!" "I love my Biggie wallet. It's beautifully made . I also had a bit of an issue and it was rectified quickly by customer service. Very happy with the purchase." "I love the quality. lost my 1st one while on vacation, immediately ordered another once I returned home. " 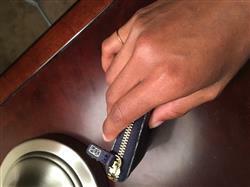 "I was devastated to have to replace my last Minor History wallet after losing it recently! I had been eyeing this one for so long in red but the Lapis color is soo unique I ended up getting it. So beautiful in person, and since I don't like to carry too many cards around this is perfect and minimal!! " "I'm currently making the transition from teenager to young adult. I'd been using a Mickey Mouse change purse as a wallet and it began falling apart so I thought it was time to invest in a proper one. I found minor history through a YouTube blogger named Christine and I'm so happy that I did! This wallet may be a bit pricey but it's so worth it! You can tell that the quality is incredible. I have a feeling that it's going to last a very long time. I've truly never seen a wallet like this at this price point. The pockets are great and I love the change purse included in it. Plus the colors are beautiful! Don't even get me started on the construction! Thank you Minor History!" "Great! Items are gifts. Recipients loved them!!" "Was easy to shop online and order. My tracking number didn’t work so I contacted the number and left a message. A day or two later, Topher called me back to tell me he’d emailed me the proper link. Very easy to work with. Love the product. " "I am super duper happy with my GORGEOUS new purse and card holder. SO many complements and just love the feel of the leather. Thank you so much for the awesome customer service!" "As always Minor History has amazing leather goods.The green zippered pouch is perfect. I have the wallet in green and 2 of your smile pocketbooks. I use them a lot and love the quality! "